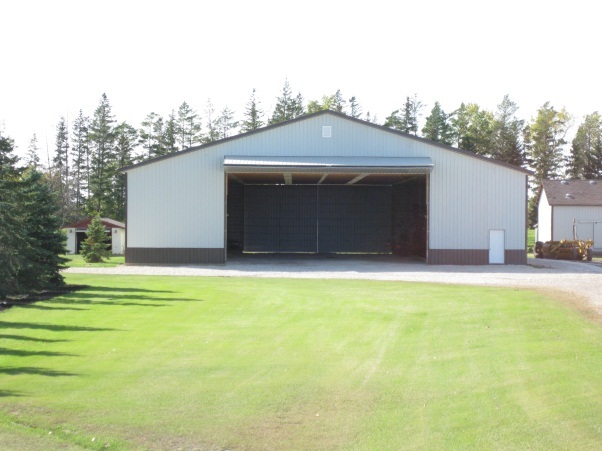 Doors are a vital part of your new building. 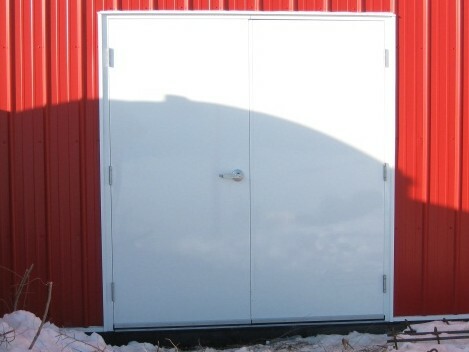 We offer multiple door types and custom sizes to make sure that we can provide you with one that works for you. Available in all colors. Color options. 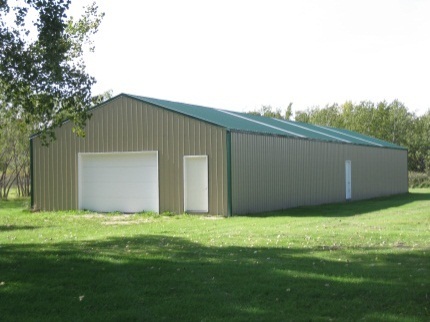 Wizer Buildings Inc. specializes in Stud Frame and Pole Framed constructions. 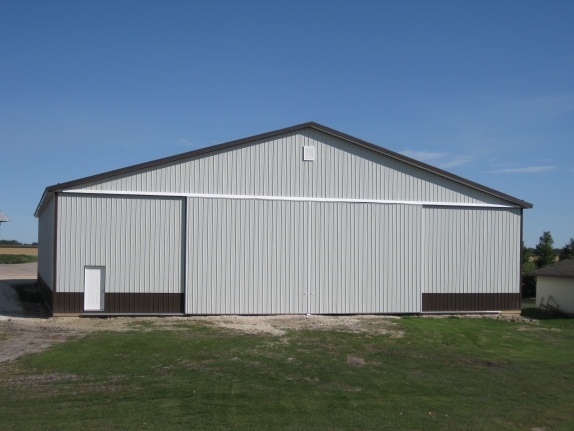 Each building is designed to meet each customers’ individual needs. 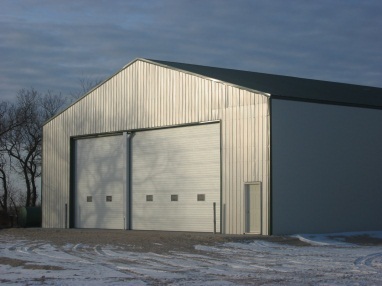 We take a custom approach to each job because we realize that each building is as unique as the person we build it for. So whether you want a small garage, a big shop, or anything in between... We have a SOLUTION for you! Contact us today about your project or try our easy-to-use Request-a-Quote form to get a FREE quote! Note: Any Polycarbonate panel requires pre-drilling 1/8” to 3/16” larger than the fastener being used. A kick wall offers a level of protection for both the building and the building’s users–both human and animal. 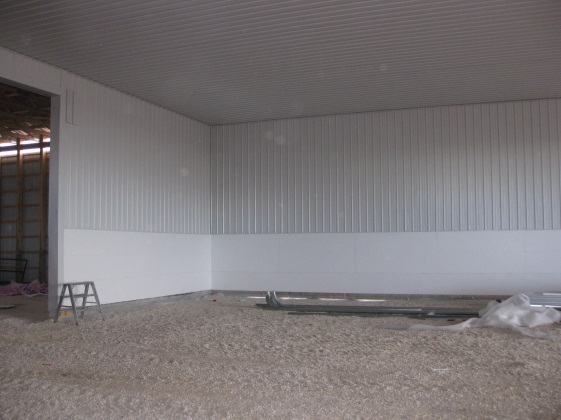 A kick wall is often installed in riding arenas to protect riders and animals from impact when approaching posts, metal siding, screw heads, and the edge of a building. 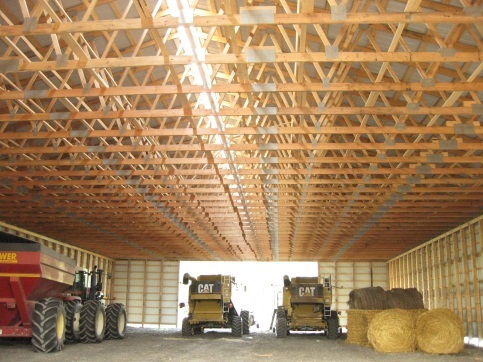 Stalls can be bolted against a kick wall in a barn. 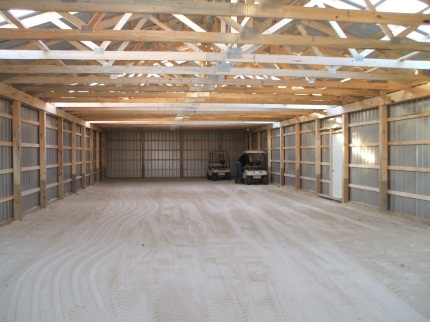 A partition wall can be installed to create a division inside your building. 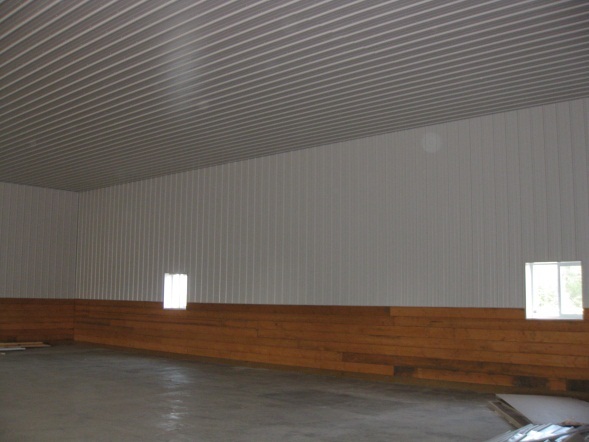 They can be done insulated or non-insulated, depending on the application. 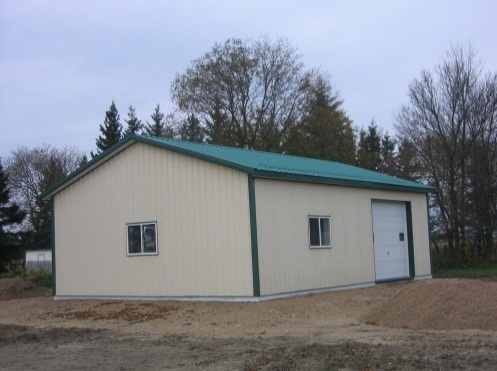 Lean-to’s are a popular and customizable option that we offer with our buildings. 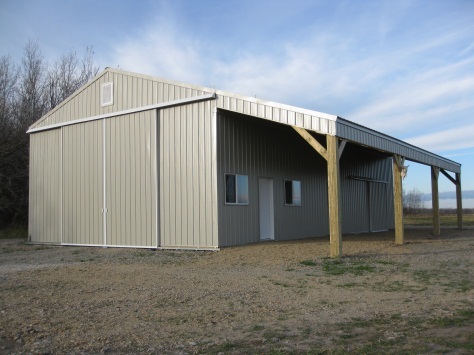 They have multiple uses that range from shelter, to storage, to commercial office space. They can be built open, with posts and a beam, or closed in with walls. Installing Continuous Eavestrough on your building drains the water away from your building and protects your investment from water damage. 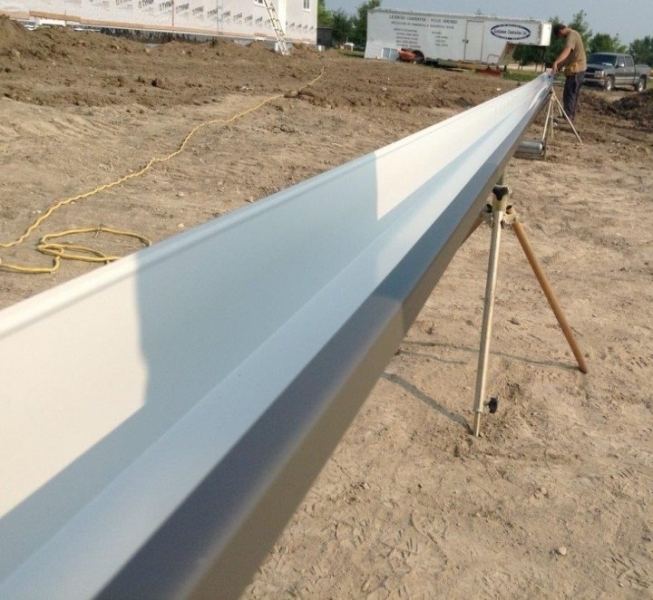 Eavestrough is rolled on site in a variety of colors to match or compliment your existing colors. Eavestrough is supplied and installed by MWG Ventures. ProfileVent is a unique attic ventilation system that has the metal roofing panel profile cut into the surface. With the added ease of roll-out installation, the low profile provides excellent curb appeal with a proven ventilation performance for the life of the roof. 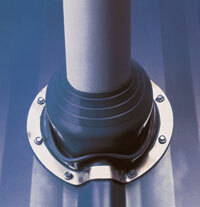 Flexible, corrosion resistant aluminum base conforms to any panel configuration. 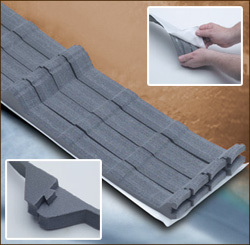 Continuous service temperature ranges of -65°F to +250° F (EPDM) and -40° to +350° (Silicone). 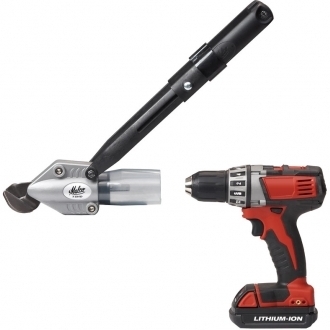 Attaches to any corded or cordless drill to quickly turn your drill into a metal cutting machine! We offer this product in a large, durable size to meet the needs of our customers for not only their current project, but their future projects as well. All our sheet metal screws are pre-painted to match the color of the metal.